Spinosaurus is also known as the spine lizard because of the spiky bones on its back. It had very strong hind legs and a powerful tail, which it probably used to paddle when swimming. Besides Pterosaurs, it also ate sawing sawfish and sharks. 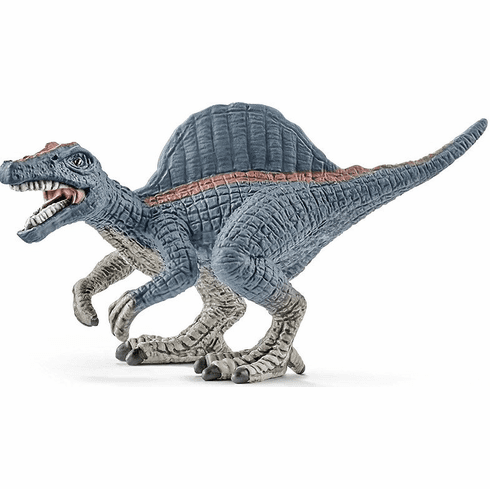 The Spinosaurus Mini measures approximately 1.6 inches tall.